Did you know it’s take dog to work day?? Wishing I had one right now…my studio misses having a pooch around! 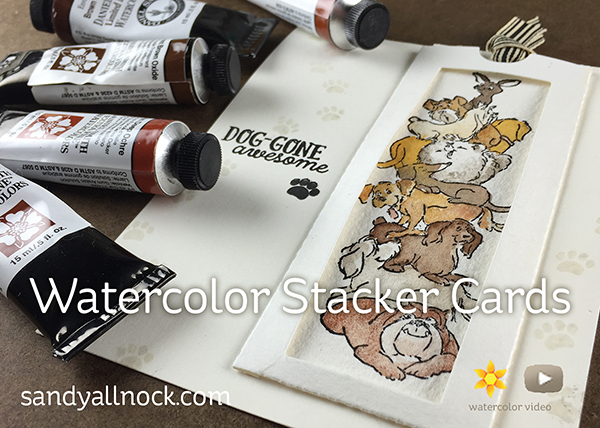 I’ve been wanting to play with these “stackers” from Art Impressions – there are five in the collection (see links at the bottom of this post, and you’ll see them in photos too.) 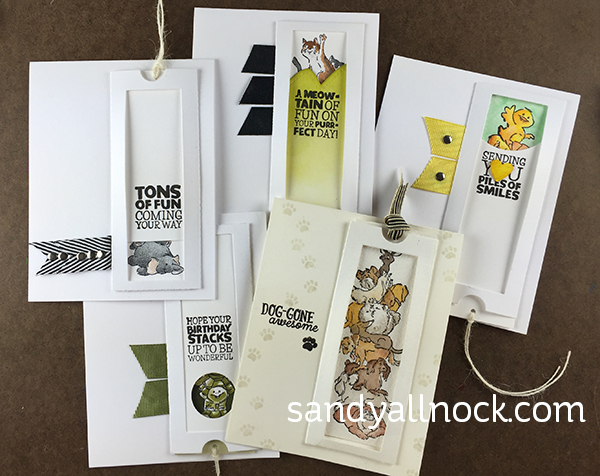 They can be used separately from the slider die – but they’re fun to use in different ways to make a card interactive. Watch the video below or click HERE to watch in HD on YouTube. 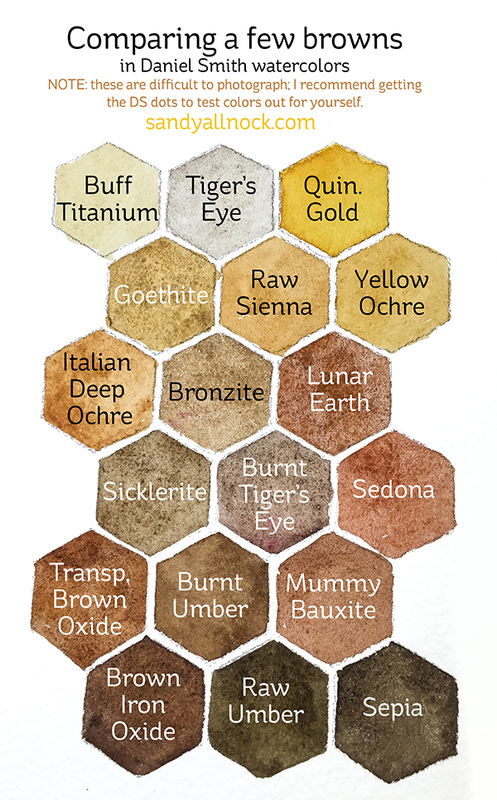 My dogs were painted with Daniel Smith paints – and I made a little chart with the browns I own – these aren’t by any means all the animal browns and golds, but if you’ve been wondering what kinds of browns to try, here’s my swatchcard. If you want to try them out (these pictures are never totally accurate), you might get one of the Daniel Smith dot sheets to try out all the colors yourself. These are SO adorable. I have been saving this video in my inbox until I could watch it. Today was finally the day and the timing is perfect! My DIL needs a card for one of her staff members who is leaving to teach school in the fall. Yesterday I made (and laminated) a cute bookmark, perfect for a teacher. Wasn’t sure this time how to present it on the card. THIS is perfect! The card can be related to her leaving THIS job but I wanted it to have something she could take/use in her teaching job! I’ll add the ‘channel’ to hold the bookmark! Thanks so much for sharing your brilliant ideas! I LOVE how you painted the “animal colors” Swatch & kept it on the side in the video while you were painting so we could see the colors & the variations these colors can make! That was awesome, please do again! Seeing the swatch while you were painting really helped so much! GREAT Idea! I love your watercoloring so much Sandy & I learn so much from you! Thank you, thank you!! too cute for words; of course, I want all of them! TFS! Oh my, these are all SO FUN! Such a great idea to use these in a slider. Now I want ALL of them!